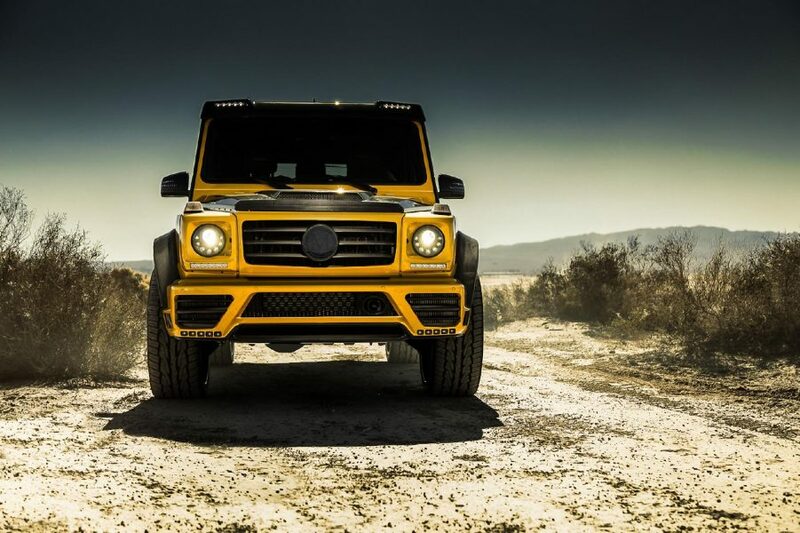 As soon as the Mercedes-Benz G-class leaves the factory, it is already an impressive eye-catcher. 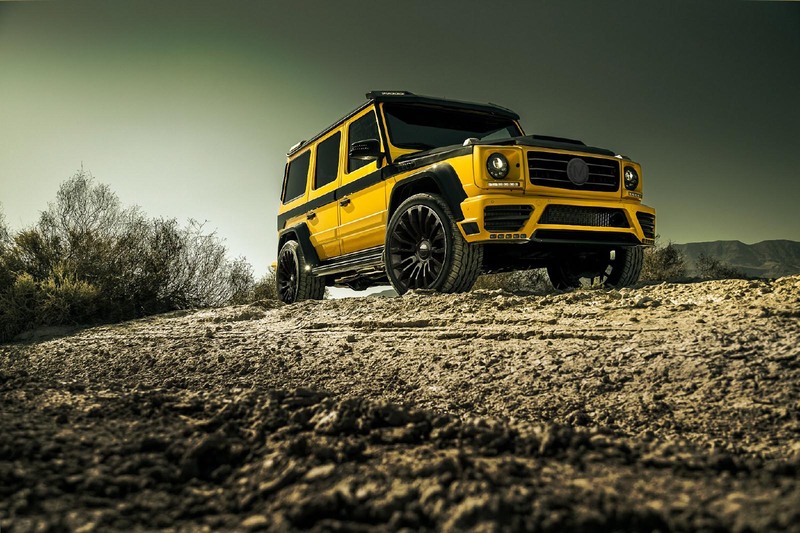 However, MANSORY manages to confer a masculine, as well as elegant, carbon dress to the edgy off-roader´s serial chassis. 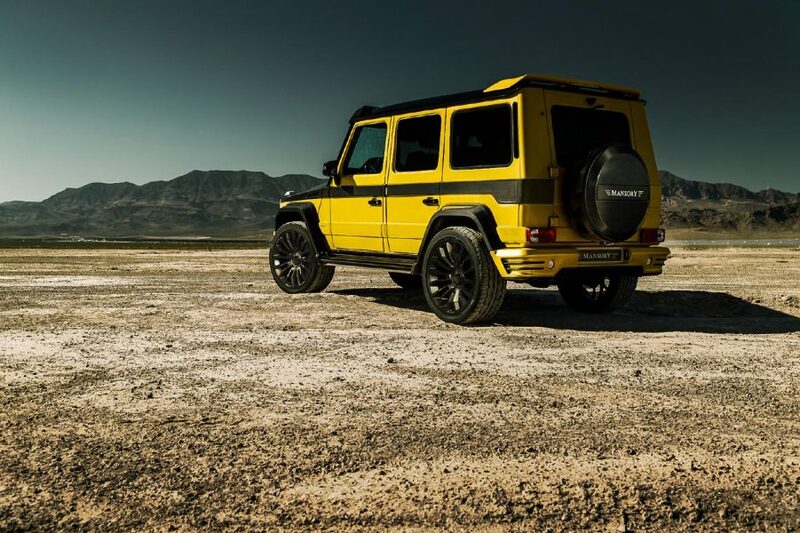 Under the collective term, G wide body kit, MANSORY offers an extensive set, consisting of fender flares, door skins, as well as a front and rear bumper. This set, entirely produced from carbon, as well as partially consisting of carbon fibre, extends the serial chassis by 40 millimetres. The price starts at 18.900,- euros, plus value added tax. 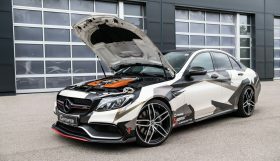 As if that were not enough, the enthusiastic G customer can complete his carbon-fibre upgrade with a lightweight hood, a roof panel and a roof spoiler, with either two – or four position lights. Door handles, rear-view mirror housing, headlight covers and panelling of the A-pillar, complement the carbon splendour. 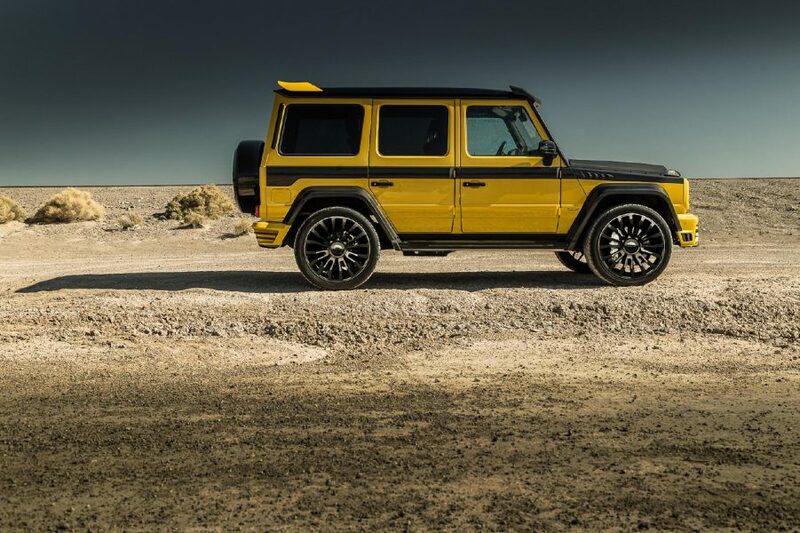 Various 21-, 22 -, or 23-inch-wide alloy wheels, on the customer’s request, additionally enhance the impressive appearance of the refined MANSORY SUV sustainably, and at the same time, skilfully complete the wider wheel arches. The exclusive 23-inch M8 double-spoke wheel presents you with a sporty-looking light-alloy wheel with a wheel hub cover, which is constantly horizontally aligned, as a special feature. MANSORY mounted 305/35R23 tyres on the mono-block cast wheels, for excellent adherence. 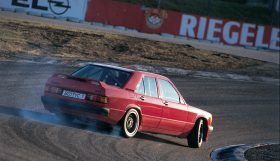 To complement the optical performance, the refining specialist also offers the matching performance enhancements. 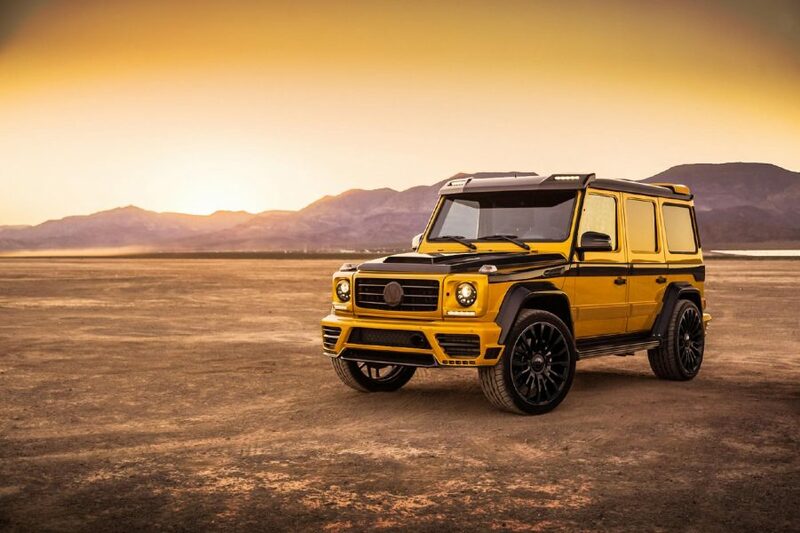 The MANSORY engine division completely revised the eight-cylinder Biturbo of the AMG G63, adding authentic racing components: engine pistons, connecting rods, connecting rod bearings, crankshaft, cylinder head and many more features, which meet company owner Kourosh Mansory’s high standards. 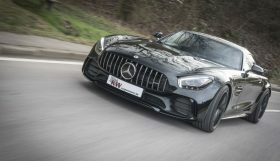 The newly designed exhaust set, from the manifold up to the double stainless-steel tailpipes, which exude their bewitching sound on the flanks, ensure superior performance data. 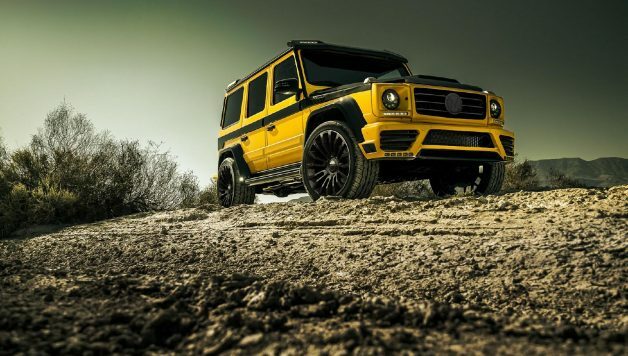 Instead of 544 HP (400 kW), the G63, revised by MANSORY, achieves an impressive 840 HP (618 kW), while the maximum torque increases to the electronically limited 1.150 Newton metres.